Laura Demanski, otherwise known as OGIC of About Last Night, discusses her Summer 2006 nomination of Edie Meidav's Crawl Space. Some antiheroes are more anti than others. Emile Poulquet, the antihero of Crawl Space, is a Vichy war criminal and an absolute of his kind. Poulquet is a man divided along seemingly a hundred internal fault lines, and so too will be the reader of Edie Meidav’s rich and troubling novel, a searching inquest into the banality of evil. A provincial bureaucrat during the French Occupation, Poulquet was complicit in the deportation of thousands to Nazi death camps. Now, decades later, his face surgically altered, his conscience rattled but intact, he is on the run from the authorities and drawn like a moth to a flame to his old prefecture of Finier. Poulquet is not clearly remorseful; if guilt dogs him at all, it manifests itself in self-pity and what he calls a cousin to guilt, the desire for vindication. “What did that mean, anyway, ashamed,” he asks. “Shame depends wholly on others. Who cared if I toted shame around like some battered private trophy, proof of my inner good, my bewildered soul? Wasn’t it more heroic to wander the world lacking an audience, the society of brothers and sisters which shame and its absolutions automatically offer the renegade?” Indeed, his crimes are so great and his name so despised that it's hard to imagine anyone in his position could own them directly and fully. Poulquet's relationship to personal agency is so troubled that he carries around a small pendulum to decide everyday questions such as where to go and what to eat. His relationship to his hated name is similarly fraught; as the novel proceeds, he increasingly refers to himself in the third person and scrambles to remove instances of “I” from the last will and testament he carries around with him. Meidav depicts with authority—with virtuosity and unlikely beauty—the gnarled consciousness and wizened moral sense of this unrepentant war criminal, who loathes himself and his pursuers in equal measures but in different modes. It's a thoroughly haunting portrait. While his actions are surely monstrous, Poulquet's inner thoughts and justifications are not so much those of a moral monster as those of a moral idiot. Looking back on his guilt decades later, he remembers his actions as those of, simply, an official excelling at his desk job: "I started to authorize the deportation of those possessing even just an eighth of jewish blood in their veins. And how many families there were! In this manner, our numbers grew, our totals swelled. Soon enough, we heard compliments of our office from Bordeaux." Poulquet lacks all capacity to draw a connection between the abstract numbers in his ledgers and actual human lives; indeed, his willing abetment of mass murder seems spurred by what is absent in him rather than by any positive quality of viciousness or hatred. Certainly, his festering French nativism and anti-Semitism reinforce the choices he has made, but they don’t seem to motivate those choices nearly as much as the simple allure of doing what is expected of him, not making waves. “It had been encoded in our national ethics as a point of pride, the requirement to be a good bureaucrat,” he says in his defense. And yet on other registers this moral idiot is educated, clever, refined, even charming. 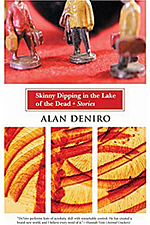 And the novel he tells, while wrenching and discomfiting, is a glittering, seductive piece of writing even as it puts the reader in the tenuous position of entering into this warped but inviting consciousness. Every turn of phrase is precise and many are surprising and beautiful. 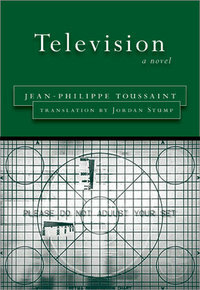 A relationship between Poulquet’s silver tongue and his moral emptiness is possibly suggested: as a born bureaucrat who puts his work of counting, compiling, and recording above all larger considerations, Poulquet is focused on the details at the expense of the big picture, on abstractions at the expense of the real things they represent. The names he processed as prefect “became like alphabet blocks to me, items to be stacked or eschewed, the satisfaction of order in the signing away of names, in the cross-checking of lists, the tearing-off of the carbon sheet, the procedure we had developed, the inky scent of returned carbon copies, the commendations from Bordeaux and even Vichy, our hay-colored padded envelopes and well-shined filing cabinets all placing me firmly in the center of a certain universe.” There is a rigid beauty to be found in the details, and this is in some sense an aestheticizing disposition. At the same time, Poulquet is terribly capable of empathy and protectiveness toward individuals he knows personally, such as the Jewish mistress who became a pawn in his power struggle with two members of the Resistance. Why “terribly” capable? Because his feeling moments make trouble for the reader, who would prefer a simpler villain. Not so. Capable of love, Poulquet is also capable of being betrayed. His flight from trial and likely conviction is also a flight toward the woman he has always been obsessed with, Arianne. It is to find her that he travels to Finier, where he finds shelter and friendship—something like home—with a motley group of vagabonds who call themselves the Wastrels. When his betrayal occurs, it is piercingly painful despite being, beyond any doubt, far less punishment than he deserves. It is disturbing to feel so keenly the pain of someone like Poulquet. But Poulquet’s broken life, his moral myopia and the ravages it has facilitated, themselves provide the measure of why it’s human to do so. This is a brave and spellbinding novel. This is a really elegant description of all that's troubling, great, and compelling about this book. I'm still not sure if I *liked* it, but I'm glad I read it and I keep thinking about it: surely that's the mark of a certain important kind of success. Thanks for pointing it our way!